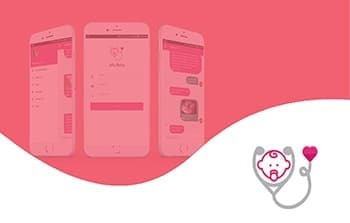 JioVio Healthcare is a Med tech international company which focus on providing a positive pregnancy, infant care and parenting experience with its innovation in healthcare technology. “Healthy individuals” and that’s our aim. To have physically and mentally healthy citizens has been our goal to be achieved. Through our jiovio products, we concentrate more on health care for ordinary people. Every individual will be treated medically and the entire medical process is fastened. 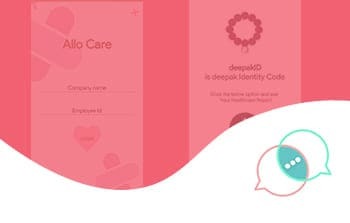 Savemom is an IOT based maternal health care solution that promises to effectively address the malady of poor maternal healthcare in the remote regions of India. 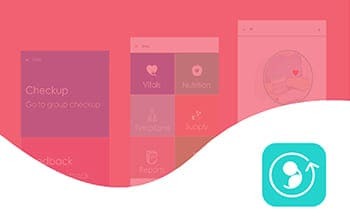 Allomom is a mobile app which is intended for urban women during her pregnancy time. The app gets works by tracking the women’s pregnancy and her child's advancement for preventing maternal deaths. Allolab is the “healthcare product that analyses to give a proper health checkup for schools/corporates”. The platform is about to be preventive, every disease can be cured easily if proper checkup has done regularly. 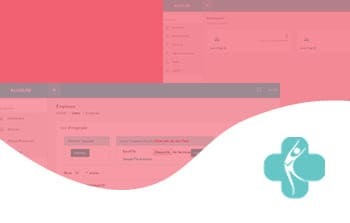 Allobaby is a platform designed for childcare developed with web and mobile app. Web app is for monitoring the backend process. Mobile app is for accessing the child data uncommonly intended for women. An exact component for the old age groups, at present 8.5% of matured individuals everywhere throughout the world. As they age, the danger of having at least one disorder like diabetics, Hypertension, or any heart issues. To keep away from the wreckage by counteracting with the assistance of "AlloOldCare". AlloRemote is a product, particularly for rural-based regions. The doctor's facility is implied for the general population who don't get any healthcare services, they neglect to get the opportunity for ages as well. This IoT based satellite platform gives the best healthcare which is only available in urban areas. India’s thriving startup community has produced some amazing innovations. In a breakthrough announcement propagating the advent of start-ups in India, Uber announced its new UberEXCHANGE program at the Global Entrepreneurship Summit 2017 in Hyderabad. JioVio is a Singapore-based startup, with two PSG Tech alumni co-founders – Divya Krishnan (BE CSE 2009-2013) and Sunder Jagannathan (BE Automotive 2009-2013). At the Global Entrepreneurship Summit 2017 being held in Hyderabad, Uber announced UberEXCHANGE, a programme it launched in 2016. Five out of 10 Uber-EXCHANGE winning startups are from Hyderabad? Hyderabad: Doing the host city proud at the Global Entrepreneurship Summit here, five out of 10 startups. The startups win an all-expenses-paid trip to San Francisco, to meet the executive leadership team of Uber at its HQ and be introduced to potential investors. On the 2nd day of the ongoing GES 2017 (Global Entrepreneurship Summit), on-demand ridesharing platform Uber today announced the names of 10 Indian startups as UberEXCHANGE winners. The National Association of Software and Services Companies(Nasscom) said on Thursday six startups that it incubated have been selected for the 2018 batch of Israel's MassChallenge accelerator. Aimed to trigger the startup ecosystem in the State to the next level, the government of Karnataka has announced the names of 100 startup winners’ list out of 1700 applications it received, during the course of its two-day grand finale of India’s first comprehensive entrepreneurship platform, ELEVATE 100 on 29-30 August, 2017.